A durable power of attorney is an important part of an estate plan. In general, a power of attorney is a legal document where one person designates another person to have the legal ability to make certain decisions for them and to participate in certain transactions on their behalf. The person who is the subject of the power of attorney is called the “principal”, and the person who is given the power to act is called the “agent”. There are many different kinds of powers of attorney, one of which is a durable power of attorney. 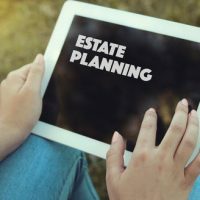 While you may be able to find forms online to designate a durable power of attorney, it is much too important to do it yourself without the help of a skilled estate planning attorney. Further, Florida has specific laws regarding powers of attorney and it is crucial that you are in compliance with the statute. Powers of attorney involve one person giving certain powers to another person. The exact powers and when they kick in will be laid out in the document. Powers of attorney can be as broad or as narrow as the principal wishes. Agents can be permitted to engage in financial transactions on the principal’s behalf, pay bills, collect Social Security, and even the power to run the principal’s business. Any person over 18 can serve as an agent, however the principal should give careful thought to who they designate. Agents should be responsible and trustworthy and someone that the principal knows will act in their best interest. Of course, you will want to make sure that the agent is willing to serve. Unless specifically noted, powers of attorney become invalid once the principal becomes incapacitated. Durable powers of attorney are powers of attorney that specifically stay valid even after the principal becomes incapacitated due to illness or other conditions. Durable powers of attorney are important because it is typically after someone is incapacitated that they need the assistance of a power of attorney. Working with a qualified attorney is the only way to ensure that your power of attorney contains the necessary language to remain valid after your incapacitation. In Florida, there are a few things that even durable powers of attorney cannot allow agents to do on behalf of principals. One thing principals cannot do is practice law in Florida, unless they are a member of the Florida Bar. Agents also may not vote in public elections for the principal, or carry out contracts for personal services for the principal, or sign an affidavit alleging personal knowledge on the principal’s behalf. If you are considering designating a durable power of attorney, it is important that you work with knowledgeable estate planning attorneys to help you think about all the considerations that giving someone the ability to act on your behalf entails. Our experienced estate planning attorneys at Millhorn Elder Law Planning Group in The Villages, Florida, can help you decide whether designating a durable power of attorney is right for you.